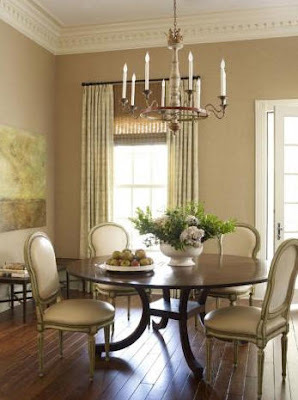 Bella Casa Design is an interior design firm based out of The Woodlands, a suburb north of Houston. 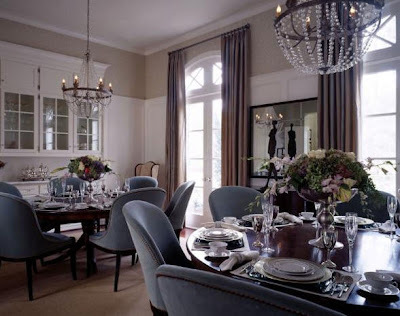 Known for their updated traditional aesthetic, their work is a favorite amongst Houston's most elite custom home builders and has been featured in publications such as Traditional Home. They have also received several awards for their collaborations with custom home builders. Bella Casa Design has architectural designers on staff, which is part of the reason that their interiors seem tailor made for these custom homes. Though most of their work could be classified as traditional, the firm does not limit itself to any one style. They "enjoy all styles, as long as they’re done in a sophisticated, understated manner" according to firm principal Kevin Spearman. Once they receive the floor plan for a client's home, they begin working on every detail, from creating unique interior and architectural detailing, floor patterns, and custom cabinetry for their unique kitchens. Senior designer, Kelly Welsh explains the process of creating a unique, layered space: "We begin with the color palette, then layer as we go, so that the client can visualize their home in its entirety." Bella Casa has been known to scour the world for the final touches that make each home unique. What I like most about their aesthetic is that it is current, it works right now, yet, it won't be outdated in five or ten years. You can simply update it by changing out some accessories and updating some colors, which makes it both timeless and classic. This 9,400 sq. 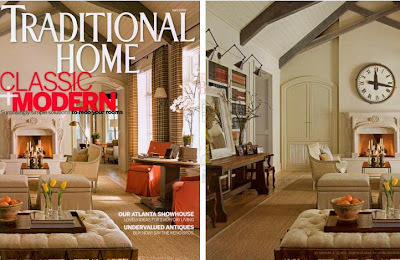 ft. home was featured on the April 2008 cover of Traditional Home and is currently on the market for $4.7 million. Visit the MLS listing for additional photos. A classic vignette greets visitors. I love the gilded mirror, antique table, and the symmetry of it all. I absolutely love the panel work in this foyer. It's gorgeous and timeless. 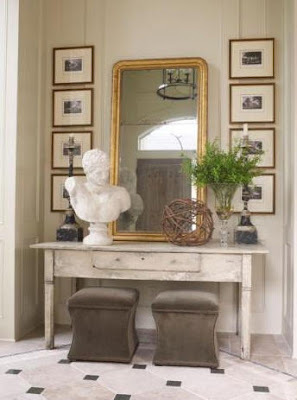 This very classic entryway, typical of Houston's finest homes features black and white marble floors, traditional arches and mouldings, and a sea grass stair runner. 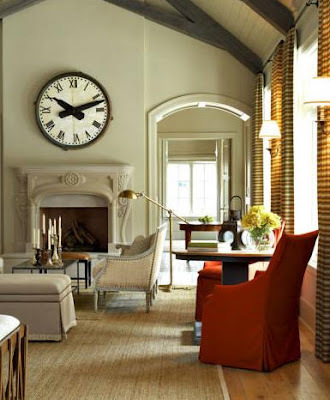 This room reminds me of a beautiful home in San Miguel de Allende. 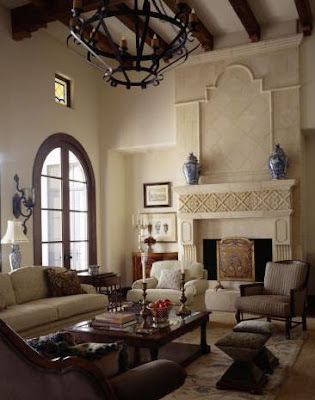 The fireplace, wooden beams in the ceiling, chandelier, and casual style are very typical of high end Mexican residences. This sunny room feels very "Martha" to me. Love this! 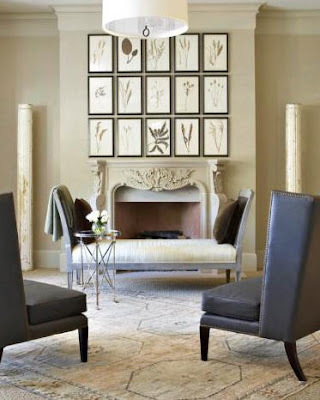 The ornate fireplace is the perfect contrast to the modern furnishings. 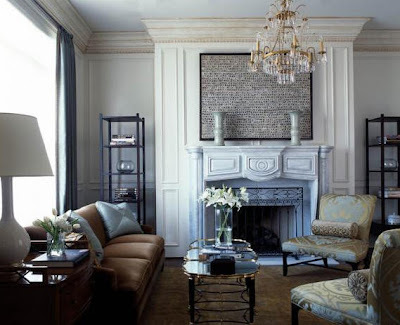 This feels like a chic, Parisian apartment. 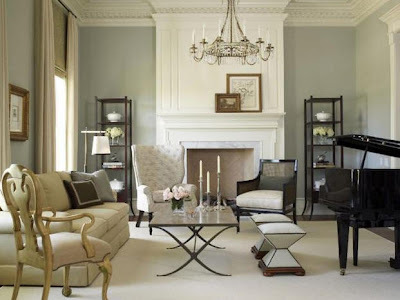 A very formal sitting room with a cool, modern color palette. 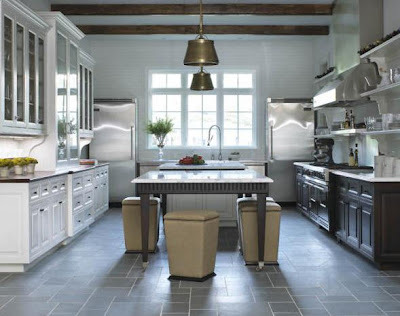 I could picture this room in Ina Garten's Long Island estate. The casual elegance gives off a very East Coast vibe. How beautiful is this patio? 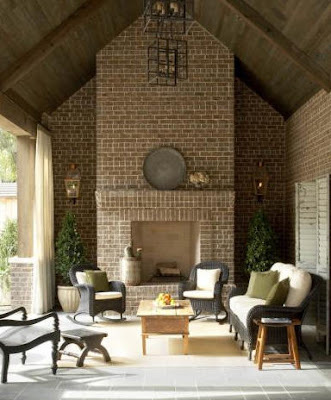 Just look at that fireplace! 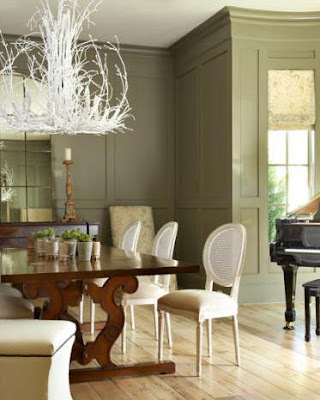 Beautiful mouldings and a serene wall color create a lovely backdrop for the juxtaposition of traditional furniture and an avant-garde chandelier. This looks like it belongs in a home in New Orleans' Garden District. I don't think I would be able to sleep if I had such a gorgeous ceiling. I would just stare at it all night. I love the bed and dreamy color palette. Casual and elegant... I love that they used an antique table at the foot of the bed as opposed to an unpholstered bench or ottoman. The tile work in this bathroom is simply exquisite. 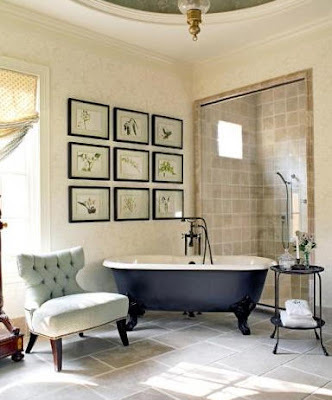 An antique claw foot tub and botanical prints make this bathroom a relaxing space. Although, how does one get out of the shower with the tub blocking it like that? bit too made up for my taste. american homes usually are. Wow, anon. Sorry to have offended your design sensibilities. May I ask where you are from? Love the photo placement in the first vignette! I love your style. Just beautiful. I am putting you on my list of favorite blogs. 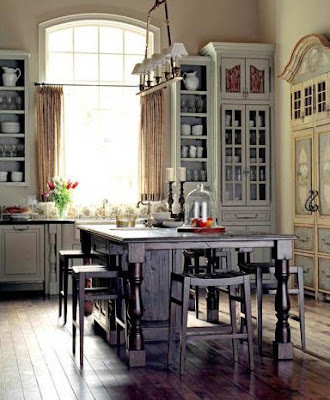 Love all of the kitchen styles for different reasons. What a truly exquisite home! I think I am in love! I love all of the pics in this post, the styling is exactly what I lust after. Also checked out your real estate site, very nice! I love the design aesthetic. Beautiful pictures! I wonder where they sourced all of the gorgeous chandeliers. The one with the modern palette is a David Iatesta. Great post! Paloma - too funny. you have scooped me so many times. I've had this company in my files to showcase for a while. foiled again!!! ahahhaha!!!! Don't you just lOVE them??????? they are wonderful and so are you! Oh, Joni! That is too funny!Sorry. :) I really do love BC's work. Not only is their design sense beautiful, but I think it is so well suited for the way people live today. These photos are simply gorgeous and so inspiring. I love each one for at least a few of the design elements. Thanks for such beautiful inspirations! There are so many things I LOVE that you posted. 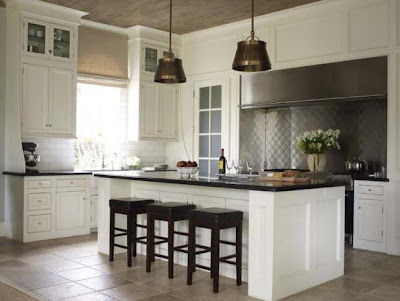 I was going to write about the foyers, but I also adore the kitchen with the black and white tile, the first bathroom, the outdoor living space... all of it. Simply exquisite. Great rooms. I have tagged you. I hope you have time to play. I absolutely love the over sized clock in the first two photographs. I absolutely love all of these rooms. I'm a freshmen in high school, and am currently taking interior design, and found your website while researching for a project. All of the aspects of these rooms are beautiful, and I would love to have rooms like these in the future. 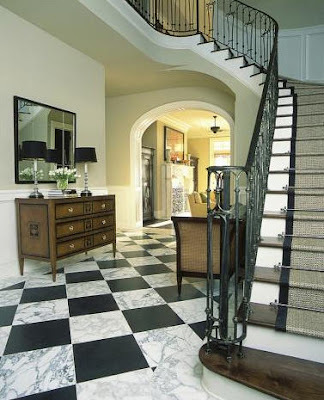 I love the bahroom with the black tile floor and the marble clasic black and white in the foyer with iron staircase. Brovo!